What is the cheapest way to get from Cinque Terre to Torre Del Lago Puccini? The cheapest way to get from Cinque Terre to Torre Del Lago Puccini is to train which costs 4€ - 11€ and takes 1h 13m. What is the fastest way to get from Cinque Terre to Torre Del Lago Puccini? The quickest way to get from Cinque Terre to Torre Del Lago Puccini is to train which costs 4€ - 11€ and takes 1h 13m. Is there a direct train between Cinque Terre and Torre Del Lago Puccini? Yes, there is a direct train departing from Corniglia and arriving at Torre Del Lago. Services depart once a week, and operate Sunday. The journey takes approximately 1h 13m. How far is it from Cinque Terre to Torre Del Lago Puccini? The distance between Cinque Terre and Torre Del Lago Puccini is 57 km. The road distance is 93.1 km. How do I travel from Cinque Terre to Torre Del Lago Puccini without a car? The best way to get from Cinque Terre to Torre Del Lago Puccini without a car is to train which takes 1h 13m and costs 4€ - 11€. How long does it take to get from Cinque Terre to Torre Del Lago Puccini? The train from Corniglia to Torre Del Lago takes 1h 13m including transfers and departs once a week. Where do I catch the Cinque Terre to Torre Del Lago Puccini train from? Cinque Terre to Torre Del Lago Puccini train services, operated by Trenitalia, depart from Corniglia station. Where does the Cinque Terre to Torre Del Lago Puccini train arrive? Cinque Terre to Torre Del Lago Puccini train services, operated by Trenitalia, arrive at Torre Del Lago station. Can I drive from Cinque Terre to Torre Del Lago Puccini? Yes, the driving distance between Cinque Terre to Torre Del Lago Puccini is 93 km. It takes approximately 1h 22m to drive from Cinque Terre to Torre Del Lago Puccini. How do I get a train ticket from Cinque Terre to Torre Del Lago Puccini? Book your Cinque Terre to Torre Del Lago Puccini train tickets online with Rome2rio. 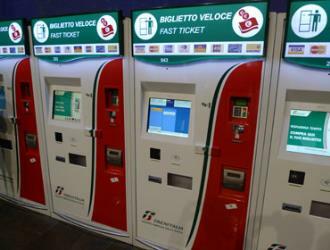 What companies run services between Cinque Terre, Italy and Torre Del Lago Puccini, Italy? 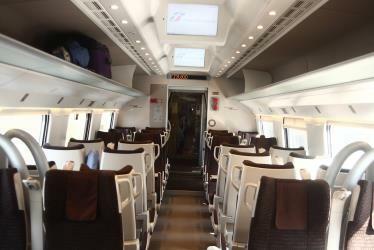 Trenitalia operates a train from Cinque Terre to Torre Del Lago Puccini once a week. Tickets cost 4€ - 11€ and the journey takes 1h 13m. Where can I stay near Torre Del Lago Puccini? There are 3965+ hotels available in Torre Del Lago Puccini. Prices start at 55€ per night. Discover how to get to attractions and hotels near Torre Del Lago Puccini. The Leaning Tower of Pisa (Italian: Torre pendente di Pisa) or simply the Tower of Pisa is the campanile, or freestanding bell tower, of the cathedral of the Italian city of Pisa, known worldwide for its unintended tilt. The tower is situated behind the Pisa Cathedral and is the third oldest structure in the city's Cathedral Square (Piazza del Duomo), after the cathedral and the Pisa Baptistry. Pisa Cathedral (Italian: Cattedrale Metropolitana Primaziale di Santa Maria Assunta; Duomo di Pisa) is a medieval Roman Catholic cathedral dedicated to the Assumption of the Virgin Mary, in the Piazza dei Miracoli in Pisa, Italy. It is a notable example of Romanesque architecture, in particular the style known as Pisan Romanesque. It is the seat of the Archbishop of Pisa. The Campo Santo, also known as Camposanto Monumentale ("monumental cemetery") or Camposanto Vecchio ("old cemetery"), is a historical edifice at the northern edge of the Cathedral Square in Pisa, Italy. The Basilica of San Frediano is a Romanesque church in Lucca, Italy, situated on the Piazza San Frediano. La Casetta del Viaggiatore - "Traveller's Home"
Rome2rio makes travelling from Cinque Terre to Torre Del Lago Puccini easy. Rome2rio is a door-to-door travel information and booking engine, helping you get to and from any location in the world. Find all the transport options for your trip from Cinque Terre to Torre Del Lago Puccini right here. Rome2rio displays up to date schedules, route maps, journey times and estimated fares from relevant transport operators, ensuring you can make an informed decision about which option will suit you best. Rome2rio also offers online bookings for selected operators, making reservations easy and straightforward.